With warm weather continuing into September, the Napa Valley Vintners (NVV) reports that the pace of the 2013 Napa Valley wine grape harvest has accelerated. The picking of white wine grapes, especially aromatic varieties, is nearly finished and the harvesting of red wine grapes including Pinot Noir, Merlot and Malbec, is in full swing. After a spell of hot weather last week, the marine influence is again being felt in Napa Valley, providing what Pam Starr, winemaker for Crocker & Starr Wines in St. Helena, calls “luxurious hang time” for the development of balanced sugars and acids that portend the makings of another quality vintage. 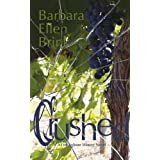 An educational narrative of the life cycle of a wine grape, offering easy to follow definitions of phrases such as “winter pruning,” “flowering,” “veraison” and more. The Napa Valley Vintners (NVV) is the non-profit trade association responsible for promoting and protecting the Napa Valley appellation as the premier winegrowing region. From seven founding members in 1944, today the association represents nearly 500 Napa Valley wineries and is a leader in the worldwide wine industry. To learn more about our region and its legendary American wines, visit www.napavintners.com. Click here for more information about 'Napa Valley Harvest In High Gear As Picking Switches From White Wine Grapes To Reds'.